A small town high school basketball team wins the Pennsylvania state championship with an improbable last second three point shot. 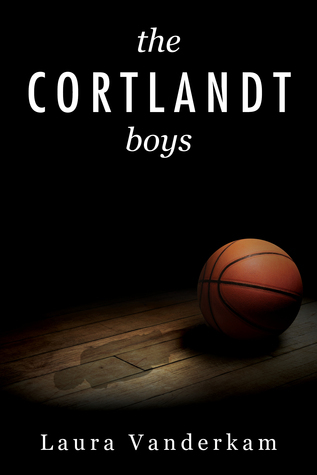 The Cortlandt Cavaliers celebrate their unlikely victory, but good fortune changes the boys’ worlds in unpredictable ways. This story revisits the characters 10 and 20 years later as the ramifications of their youthful success play out over the course of their lives, forever linking them and the people around them to this little town that has its ways of not quite letting you go. This book was different from any other book I've ever read. Laura Vanderkam has a unique writing style that can make something as uninteresting to me as basketball, interesting. (Don't kill me but I am not a sporty person.) Though I may not have really liked the sports aspect of it I liked that Max was a writer. It let me see first hand how a reporters mind works. The book was broken up into parts so I'll write my review that way. Let's start with the prologue. It's from Max's point of view as she plays in the band and interviews the coach of the basketball team. Though I am not a sporty person even I got excited at the winning of the championship. I can only imagine how exciting that would be for a seventeen year old. Part One: Ten years after the championship. Again it was from Max's point of view. She became a sports writer and a bit sporty girl herself when she runs into one of the guys that won the championship all those years ago. So she heads back to Cortlandt to interview all the players about that big game. All the guys are still in the small town trying to make ends meet. It is pretty obvious that every guy peeked in high school, none of them really had any goals for the future. That big game was the only thing they wanted and that was all they wanted. Max got a little more than she wanted when she helps solve a mystery. Part Two: Twenty years after the championship. This is told from Janie's POV who is seventeen now. She spent a lot of time with Max and was taught a lot especially about writing and telling stories. Max got a show and was doing very well for herself. James (Janie's dad) was now a coach and also doing well. Everyone seemed to being doing better than in part one, except for KC. Janie was getting ready to start applying to colleges and had high hopes for her life, like Max. Flower (Janie's friend from a super religious camp) was insane, I'm not saying super religious people are insane but she sure was. She literally hit someone with her car because she felt someone needed atonement - crazy. Again from Janie's POV. It took off right where part two left off. Janie was waiting to make sure her dad was okay before making college decisions. Janie finishes telling the story of the Cortlandt boys. To be honest this wasn't a book for me because it was just too sporty for my tastes. The mystery and dramatic parts were good but not enough for me. I'm glad I jot to read it because I liked seeing how reporters work.